Few things tickle Horsefeathers more than a misspelt or ungrammatical sign. So I thought it was time I recorded the greats in some kind of formalised way. Believe it or not, I do have some sympathy with the anti-grammar-nazi brigade. Pontificating on language matters that are often open to interpretation anyway is not an attractive trait – which is why we sticklers need to choose our battles. 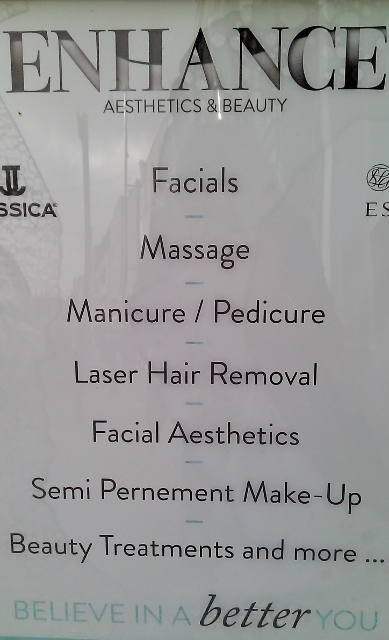 But surely the most radical free-speller would think twice before entrusting their features to a business that couldn’t even spell the word ‘semi-permanent’. Brilliantly, it turns out there’s a word for mangled spelling: typoglycemia. It’s a slightly tongue-in-cheek portmanteau fusing ‘typo’ and ‘hypoglycemia’ – the confusion brought on by low blood sugar. It describes the phenomenon that readers can understand a piece of text even if the words are totally misspelt, as long all the necessary letters are present, and the first and last letters remain the same. So you could argue, what the hell, it still makes sense. I know what they mean. Even as the tattooist’s needle was bearing down on you.